Almost all displaced Syrians at the Nassib-Jaber crossing have left the Jordanian border and returned to Syria, Anders Pedersen, the UN resident and humanitarian coordinator in Jordan, said on Sunday, Reuters reported. Several thousand people fleeing an army offensive against rebels in southwest Syria had congregated in a free zone near the crossing. 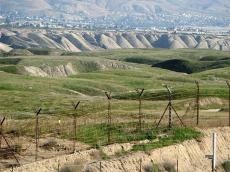 The United Nations says the fighting uprooted more than 320,000 people in the past two weeks, including 60,000 gathered near the border with Jordan and thousands more seeking shelter at the frontier with the Israeli-occupied Golan Heights.